On these 4 pillars we start designing web pages or redesign existing web pages and sites as well as any digital piece: newsletters, banners, landing pages, etc ..
We want your web to accompany your business, is continually updated, dynamic, holds the image that best represent you and turn contacts into results. And most importantly: It is available and appears in seacrh resuñts for all those who are searching for your product or service. We want to enhance your company image on the Internet, to improve communications with customers and consumers and to increase sales. We work in defining the strategy, planning, design and implementation of web sites considering its functionality and contents allowing them to appear in major search engines top results. Our web design and development is business results oriented. Since the conception of your website, we work thinking about search engine optimization, easy integration with most used social networks and to be easy to navigate and accessible to current and potential customers. 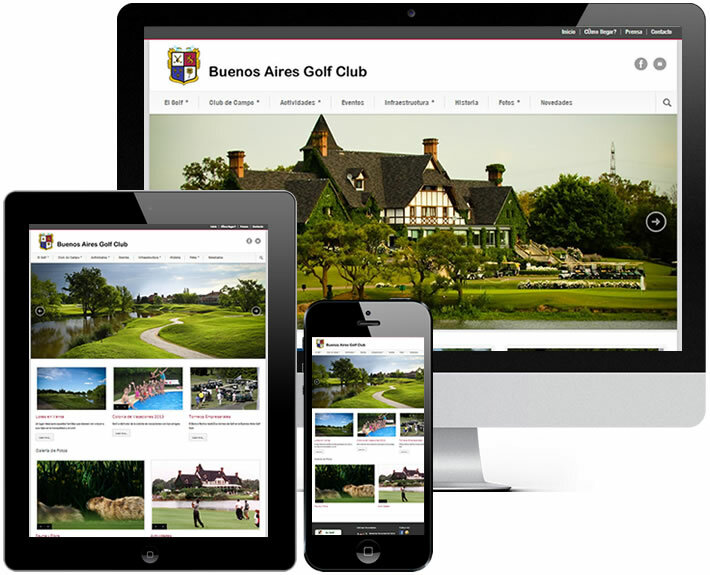 Our web design is responsive, meaning that your website adapts to mobile devices and allows your visitors to access your website from any device. Design of all kinds of digital and traditional graphic pieces. Having a website allows your company to take all advantages internet offers, from 7×24 institutional presence to having the ability to interact with customers and sell online. If it is not yet, the Internet can become an important channel of contact and sales for your business.